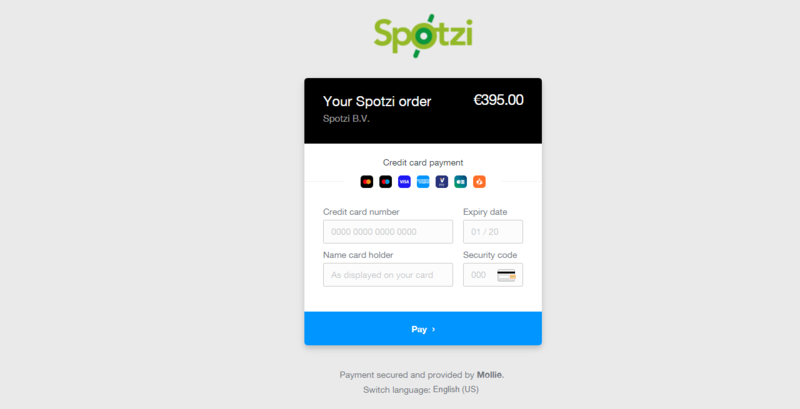 Spotzi accepts credit card payments. When you are in the purchasing process you can choose the credit card payment method. 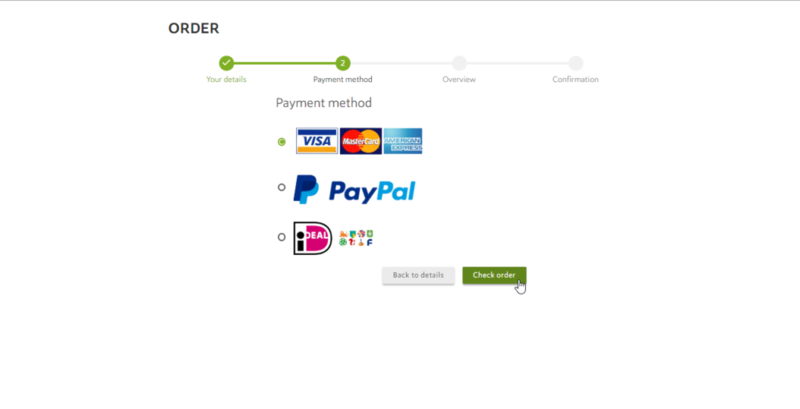 Click the CHECK ORDER button to confirm your payment method and go to the order overview. 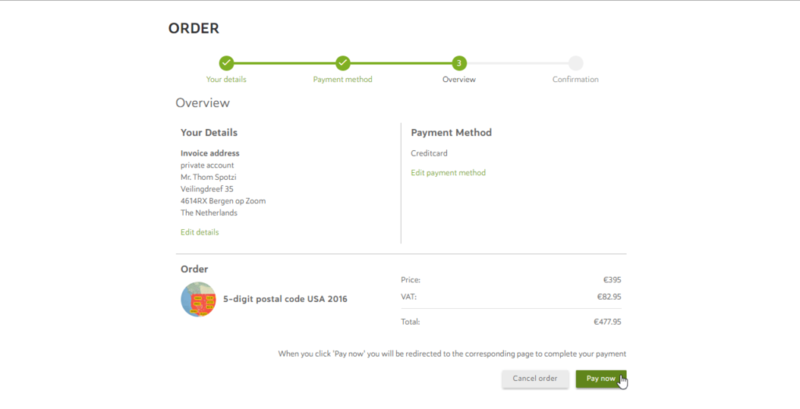 Now you will see the order overview with the data/map you want to order and your details. Are your details correct? Press PAY NOW to confirm your order. Now you will be redirected to the creditcard payment terminal (provided by Mollie). Now you will be redirected to our Spotzi payment terminal. Fill in your credit card information and press PAY to confirm. 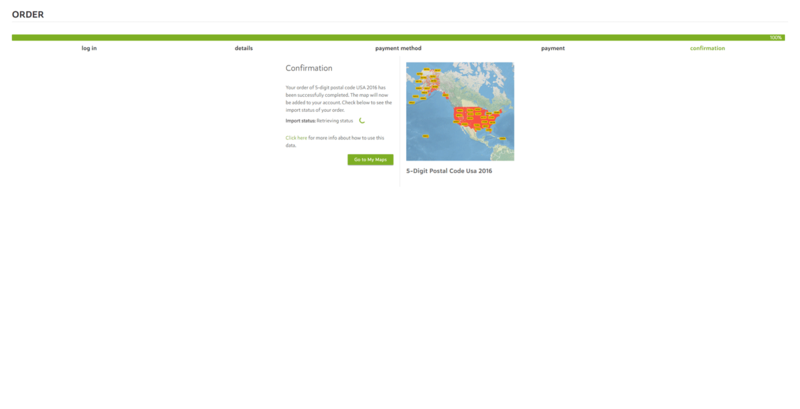 When your payment is accepted the Spotzi Mapbuilder will automatically start importing your dataset. Keep in mind that importing large datasets may take a while. You can go back with editing your maps, because the import process will continue in the background. When the import is complete you will receive an confirmation email. It is also possible to register a Paypal account and to add your credit card to your PayPal account. For more information about adding a credit card to your PayPal account, please visit the Paypal website about linking a debit or creditcard to your Paypal account for more information.